My Morning Jacket will be hitting the road this summer for a series of amphitheater shows from the end of June through August. While they had previously announced a show at New York City’s Forest Hills Stadium, along with headlining dates at a couple of festivals, the new tour dates will carry them up and down the East Coast along with stops in Tennessee, Ohio and Michigan. This tour is ostensibly still behind the band’s 2015 album The Waterfall, though there’s always the chance that they could have their next record in the works. In classic Jacket fashion, the band will be joined by some powerhouse supporting acts for these shows, including Gary Clark Jr., The Districts and Margo Price. Tickets go on pre-sale to members of the band’s Roll Call fan club tomorrow, March 14, at 10 a.m., and will go on sale to the general public on Friday, March 17. Tickets for the Forest Hills Stadium show are already on sale, with only a limited number still available. You can find all of the dates and info on who will be opening each show below, along with soundcheck footage from a 2011 show, available via the Paste Cloud. You can also read our 2015 feature on MMJ here. 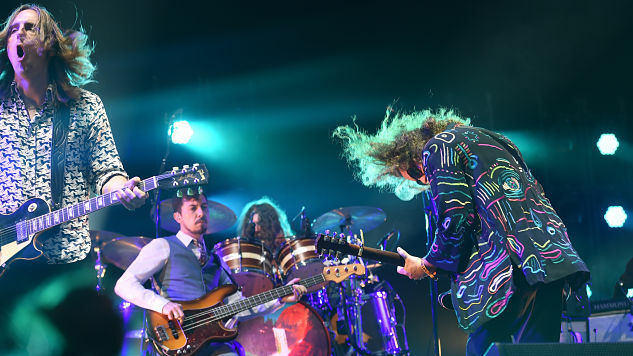 My Morning Jacket also recently wrapped up their One Big Holiday festival in Mexico, and recordings of those sets, which featured guest appearances from Clark, along with The Head and the Heart and Lucius, can be purchased here.